Choco Velvette Cake is an extra creamy and velvety chocolate flavored cake which is perfect to make your anniversaries, birthdays and other special occasions grand. This cake is a treat for all those whose taste buds crave for chocolate flavored desserts. The sponge is layered with chocolate and lots of chocolate cream which gives it a creamy texture. 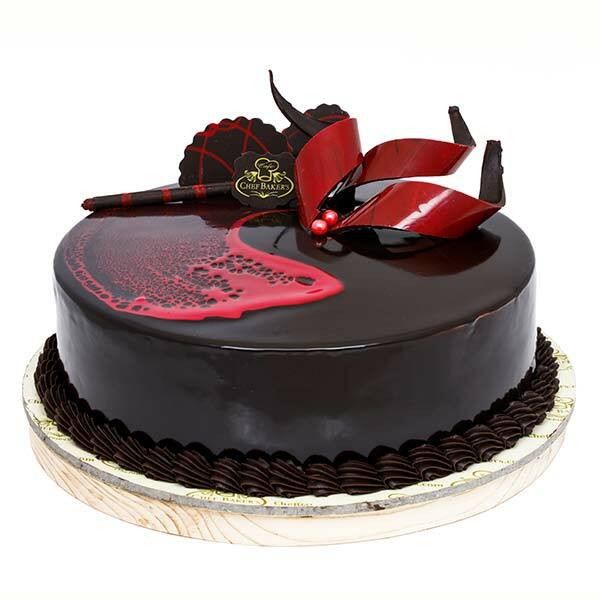 Melting in the mouth and getting dissolve with each bite Choco Velvette Cake consists of chocolate truffle and raspberry filling as taste enhancers. In addition to these, chocolate garnishing makes it extra chocolaty, superfluously yummy and highly tempting.